Autumn reflections of big leaf maples in Silver Creek shadows. Silver Falls State Park, near Silverton, Oregon. 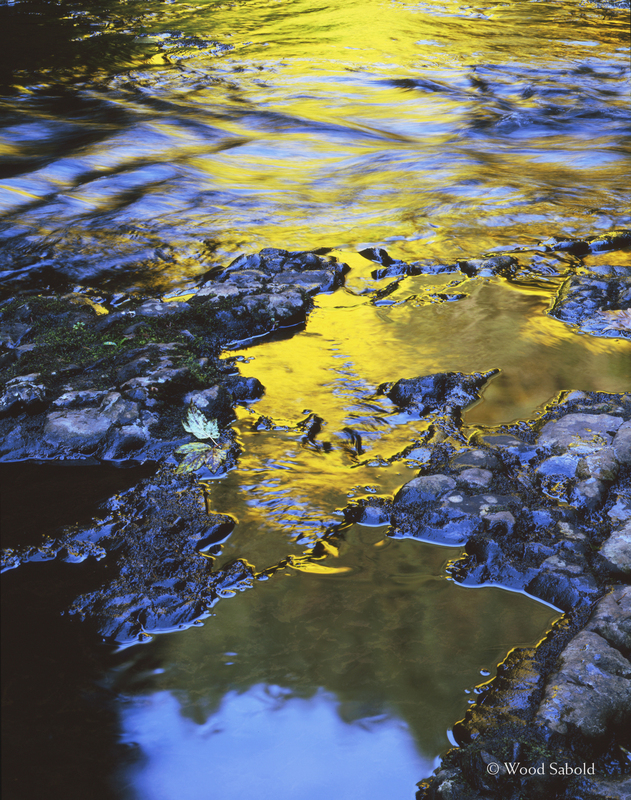 Shade creates the contrasting blue color of the yellow reflections.